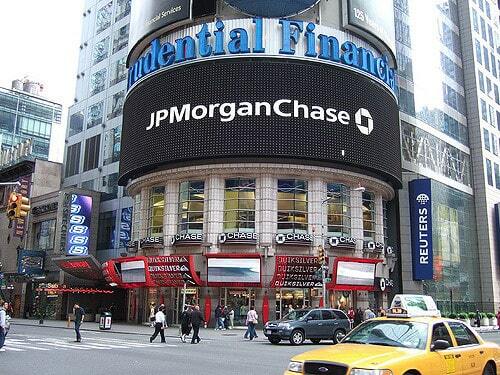 The head of JP Morgan Chase said that the banking giant is concerned about China’s rapid strides in the fields of artificial intelligence and fintech after dispatching a senior management team to view them first hand. “It’s hard not to be both impressed and a little worried about the progress China has made,” said Jamie Dimon in his annual letter to shareholders. Dimon highlighted the threat posed to established banking giants by fintech parvenus. “We never lose sight of the fact that we have an extraordinary number of strong competitors…we have acknowledged that companies like Square and PayPal have done things that we could have done but did not. A recent study from Hong Kong found that mainland China is currently host to eight fintech unicorns with a combined value of USD$214.6 billion, as compared to 24 fintech unicorns in the US with a total valuation of $76.6 billion. Data from KPMG indicates that China accounted for four of the top five fintech deals in 2018, with Ant Financial coming in first with a $14 billion transaction, followed by Shanghai’s Lu.com ($1.3 billion) and Hangzhou’s Caogen Touzi ($358 million). India’s Paytm took fourth place ($356 million), while Beijing’s Wecash accounted for the fifth biggest deal ($160 million). This entry was posted in Finance, Fintech and tagged Chinese artificial intelligence, Chinese fintech, JPMorgan Chase. Bookmark the permalink.